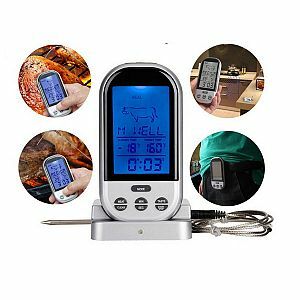 COOKING THERMOMETER for cooking to perfection, takes all the worry out of cooking your favorite meats. 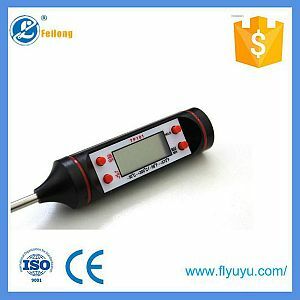 TOUCH SCREEN THERMOMETER No clunky buttons, touch screen operation. 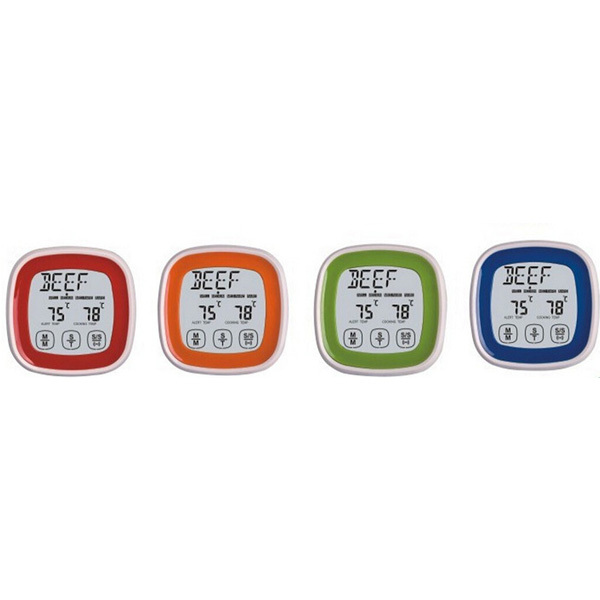 Loud and clear alarm to tell when the food is perfectly cooked. 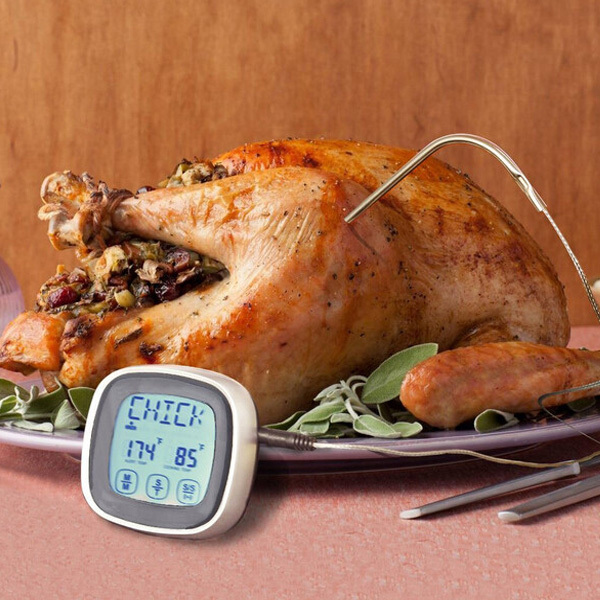 Never waste another meal again. 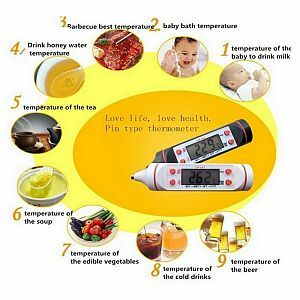 KITCHEN THERMOMETER is easy to use. 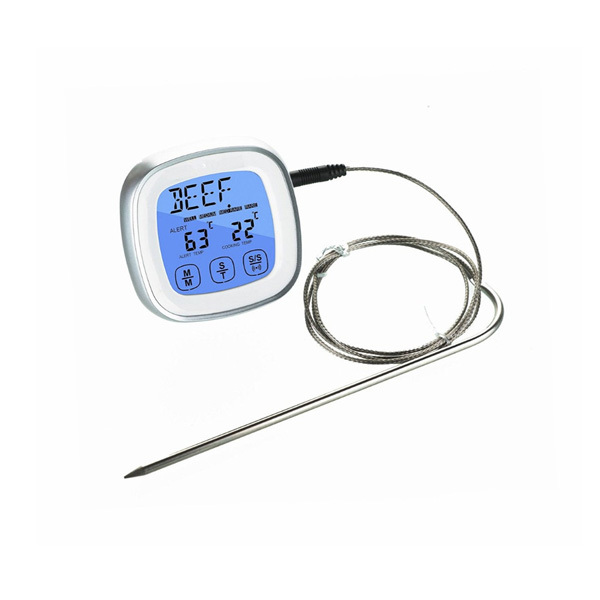 Just select your meat, (Chicken, Turkey, Pork, Beef, Lamb, Veal, or Fish) then select the cooking preference. Then set the Alarm. 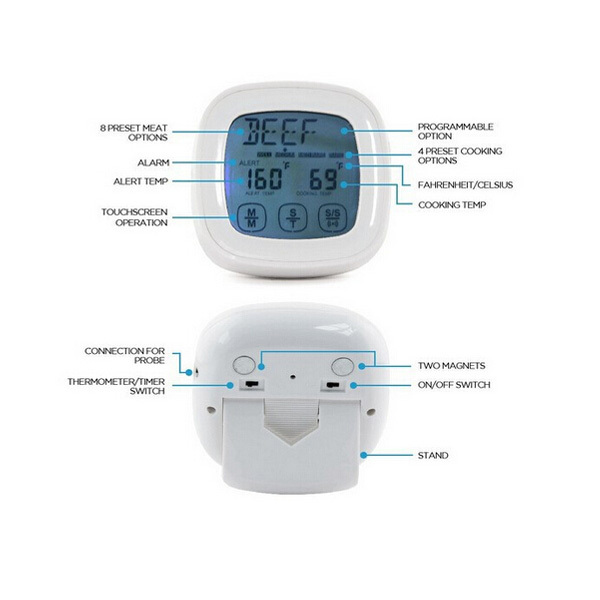 Use the on/off switch on the back as a Timer. 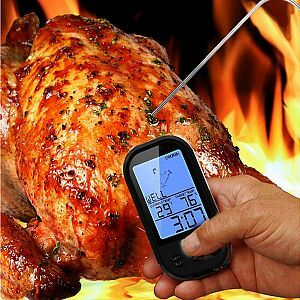 It's all preset settings with a leave in DIGITAL THERMOMETER. 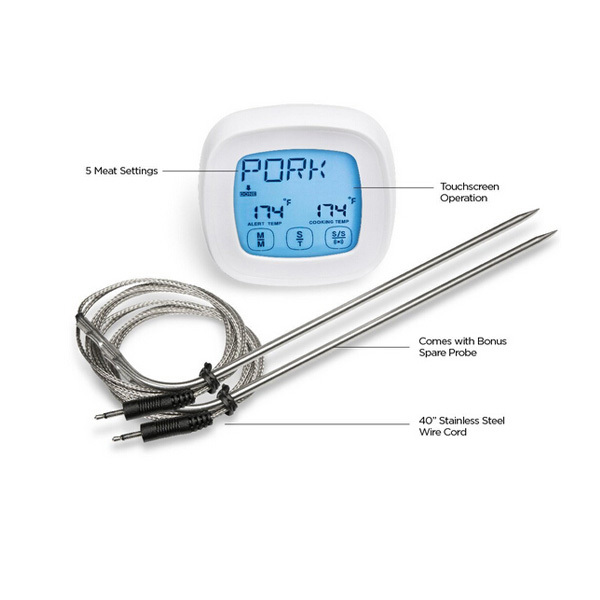 Make perfect meals with ease, for medium rare lamb, choose lamb on digital screen, then choose your preference, medium rare, and when it starts beeping take it out of the oven.